Active professional rodeo athletes, Donna and William travel to rodeos on both sides of the 49th parallel; William just completed another trip to the Canadian Finals Rodeo this fall. William also enjoys training 1Y Quarter Horses for the bull dogging and roping pen... often mounting cowboys on his bull dogging horses. Donna spends time training barrel and ranch horses. * 2003 Competed at CPRA rodeos incl 1st place at Estevan & Taber. 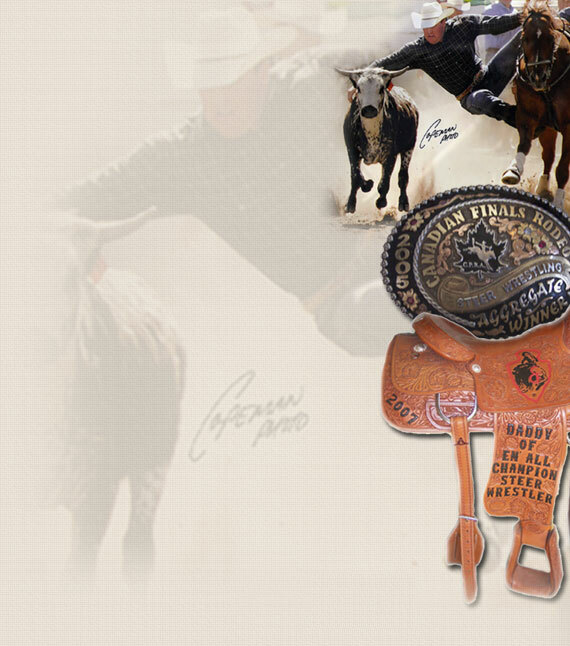 * 2002 competed at CPRA Rodeos until mid summer. voted COWBOY OF THE YEAR by his peers.